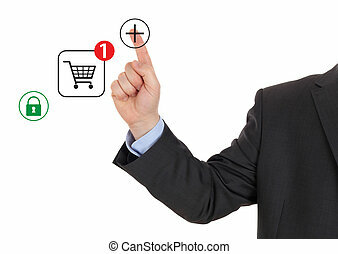 Business hand pushing shopping button. 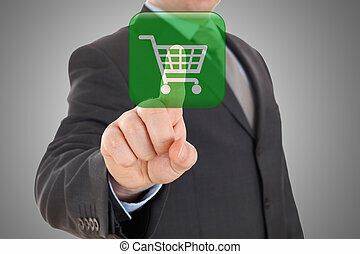 Hand pushing shopping button with global business concept. 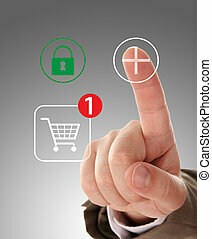 Hand pushing virtual symbol PLUS , online shopping.